Pretty Yourself at CityWalkLA! Sephora and Nectar NOW OPEN! This Summer head down to Universal City Walk and spend the day exploring all of the fun and beauty that CityWalkLA has to offer. Universal City Walk has the new IMAX theater, VooDoo Donuts, Margaritaville and Johnny Rockets- just to name some of our favorites. More information about Universal CityWalk is available at www.CityWalkHollywood.com. Regular updates also can be found on CityWalk’s Twitter @CityWalkLA, Facebook page Universal CityWalk Hollywood and Instagram @CityWalkLA. 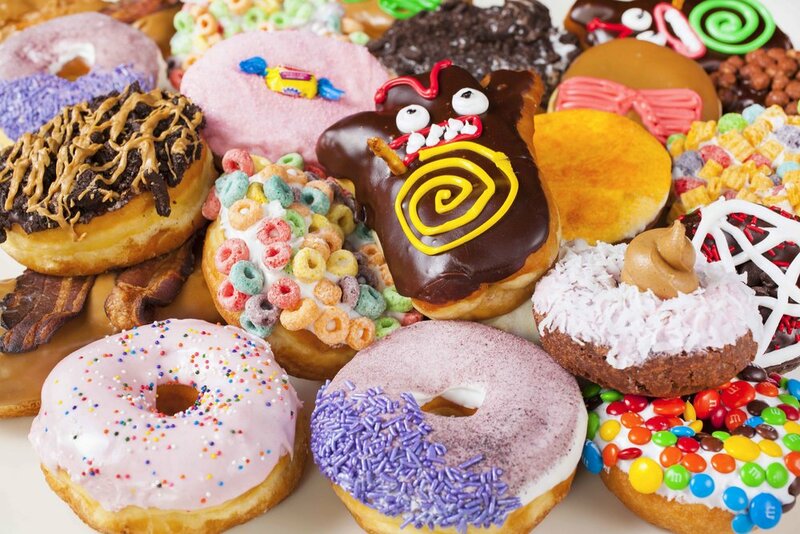 Celebrate National Donut Day @UniStudios! With a whole day to celebrate everyone’s favorite pastry, doughnut-lovers need look no further than Universal CityWalk and Universal Studios Hollywood to get their fill on National Doughnut Day, which takes place on Friday, June 1.
celebrate with lots of sweet indulgence in all shapes and sizes at Voodoo Doughnut, Sparky’s Mini Donuts, and Springfield’s famous Lard Lad Donuts. Guests can also capture their love of donuts at the recently-opened retail shop, Nectar Bath Treats which features a delicious “Donut Love” photo op wall display and selection of donut-inspired soaps. offer an exclusive Strawberry Confetti doughnut throughout the weekend, from June 1-3. S’mores. Sparky’s Mini Donuts was created by food entrepreneur Trish Conklin and made famous at San Francisco’s Pier 39. At the Universal CityWalk location, guests can watch donuts made fresh to order right before their eyes where they are served plain or sprinkled with cinnamon sugar. A party-size bucket of 36 mini donuts is also available. products that look good enough to eat. Their plant-based and cruelty-free handmade bath treats include donut-shaped soaps complete with a variety of scents and sprinkles, including Candy Kiss, featuring a sweet blend of pink sugar and cotton candy aromas; Coco Bliss, featuring the perfect blend of juicy pineapple an exotic coconut scent, and Razzle Dazzle, featuring a blend of blackberries and sweet vanilla fragrances. The highly Instagram-able store also showcases a “Donut Love” wall to capture a sweet moment with friends.